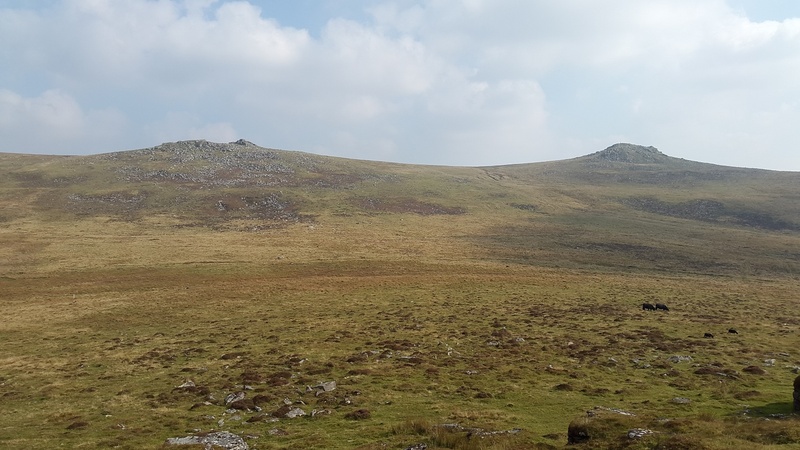 Doe Tor kind of sits on the edge of the Willsworthy firing range admiring all the higher ground around it, wondering why its not as lofty as its neighbours! 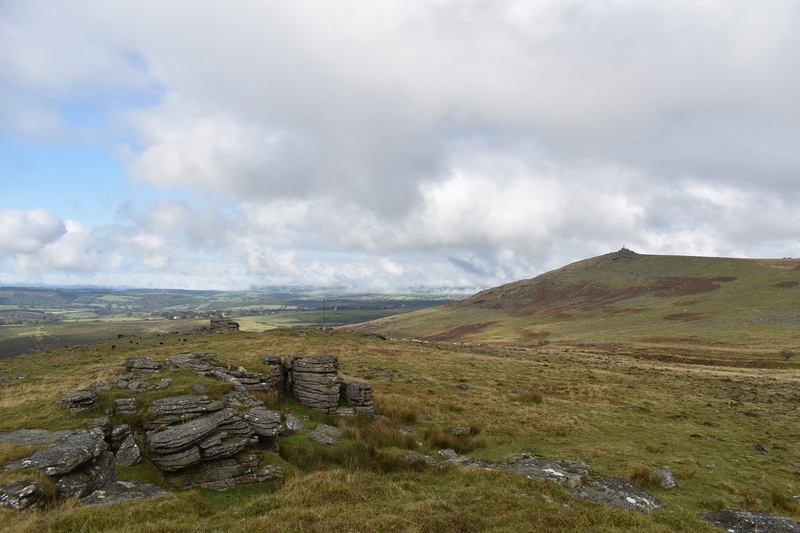 Brat Tor, Hare Tor, Sharp Tor and Great Links Tor all surround this tor like larger siblings! 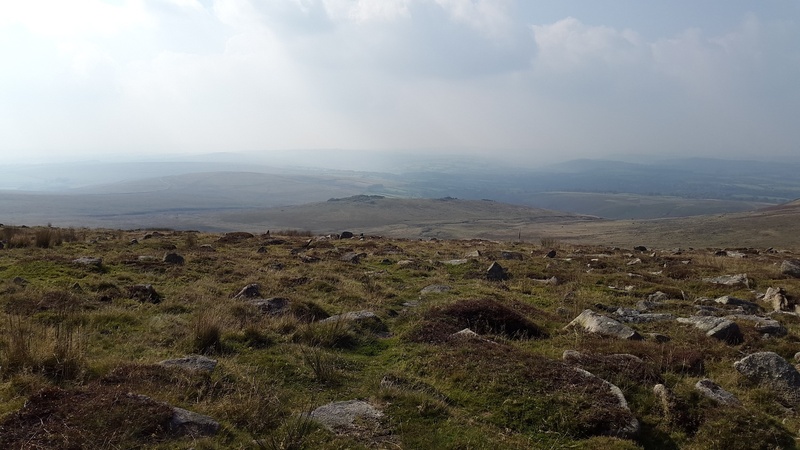 The views from Doe Tor are as good as those from its neighbours though, making it well worth a visit, especially if you don’t fancy heading further up to Hare Tor, for example. 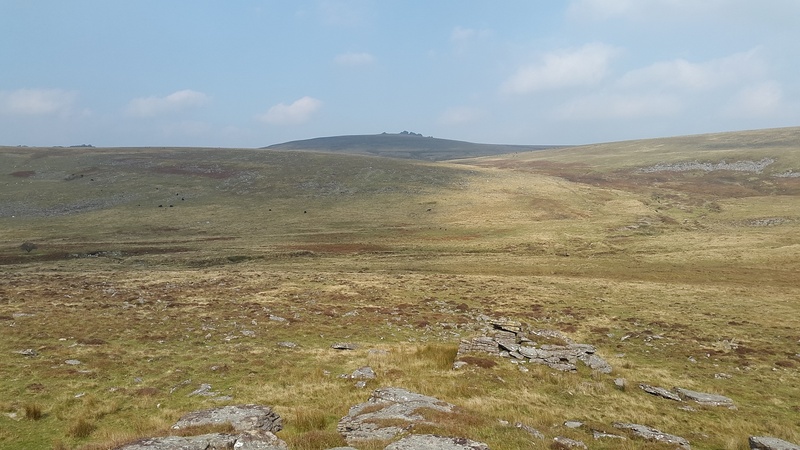 Parking at the moorland car park behind the Dartmoor Inn (Lydford), cross the River Lyd and head southeast to the Doetor Brook and cross it heading up the path to Doe Tor. 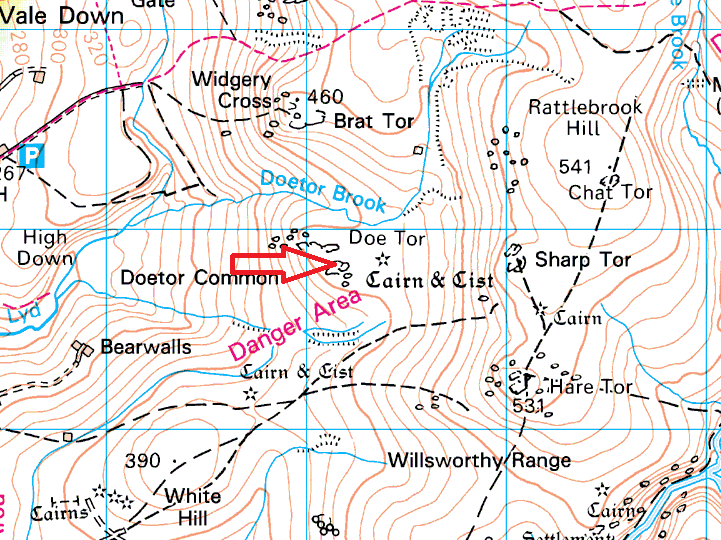 As mentioned their is a military presence on this tor in the from of a flag pole, so obey the flags if they are flying.